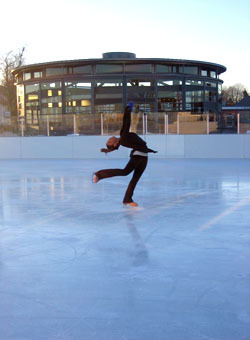 Due to the fact that our ice rink is outside, it is directly affected by weather conditions. Hours of operation may be changed without prior notice due to ice conditions. 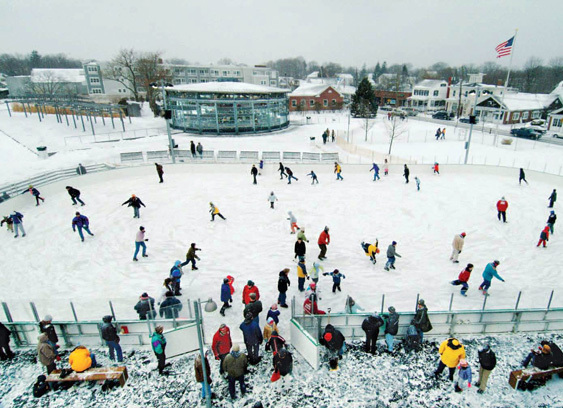 *Skate Rental Deposit Policy: all customers must leave a deposit in the form of a driver's license, student ID card, credit card or cash ($10/pair of skates). No exceptions. *Open for all Greenport School Holidays from 11 a.m. - 5 p.m.
Friday Nights 5:30 p.m. to 9:00 p.m.
Includes training bar. Does NOT include admission or skate rentals. *Helmets are available and free of charge. We encourage you to bring your own if possible.